In a part of the country with more than it's fair share of fun tourist attractions, Orlando should have plenty of amusement arcades. And yet, outside the hotels' games rooms, it's hard to find anywhere good to play pinball in the area. 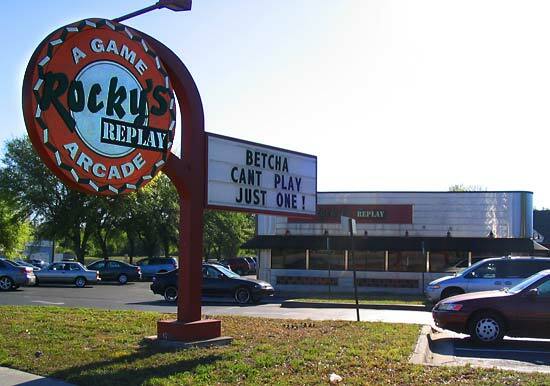 The best place in the city has to be Rocky's Replay in Casselberry. Semoran Boulevard is a big, wide thoroughfare where it would be all-too-easy to miss a specific business, but thankfully Rocky's has a large sign on the street making it hard not to spot. With plenty of free parking, the initial impressions were encouraging. Entrance is through the doorway on the far right in the picture above. When you get inside you immediately see the five new Stern pinball games lined up, ready to play. Left to right are Lord Of The Rings, Simpsons Pinball Party, World Poker Tour, Ripley's Believe It Or Not! and NASCAR. The games are all kept in good condition with clean, bright playfields and only minor damage to the plastics on a couple of them. In other words, they were in far better condition than you would find in most arcades. This despite the steady stream of players in evidence on this Sunday afternoon. There was never a moment during the several hours of this visit when at least one of the games was not being played. Game pricing was 50c per game or 5 games for $2. The arcade uses tokens instead of quarters. The World Poker Tour was a fairly recent arrival having only just been released and despite the plastic topper announcing "Tournament Pinball", the built-in tournament system was not enabled. Bar stools are provided and there are tables between the games for drinks and snacks. You might also notice in the picture above, an ashtray on one of the table. Rocky's is a smoking establishment which really stood out as unusual given the rush towards smoke-free environments and the fact that it is frequented by kids almost as much as adults. 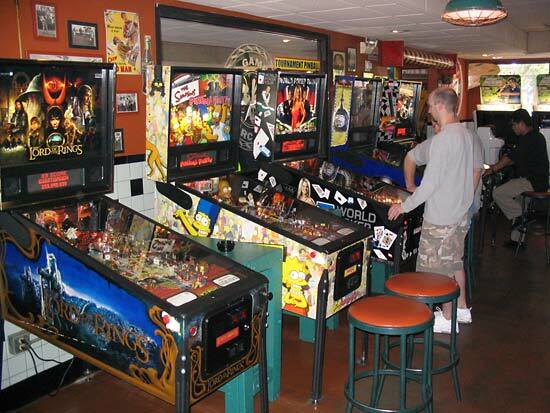 Pinball only comprises a small percentage of the games at Rocky's. 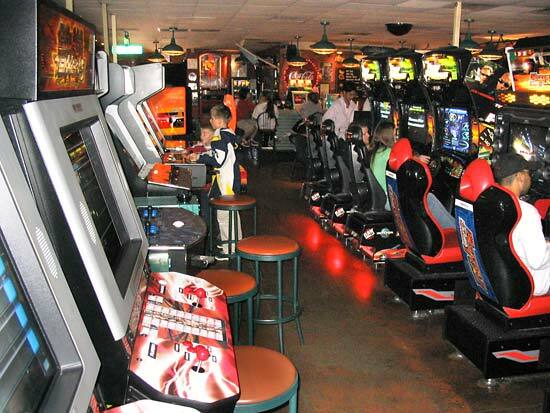 There are numerous multi-player driving games along with shooters, flying games and a mixture of classic video games. They seem to get the latest titles in quickly too. Apart from the games they also provide a good range of facilities. They serve a small selection of snack foods such as hot dogs and pizza at very reasonable prices. A hot dog is 49c and a chili dog 65c for example. I'm told the pizzas are well regarded too. They also sell various beverages including coffee, Zephyr Hills bottled water and several frozen flavoured drinks along with four draft beers (Bud, Bud Light, Amber Bock and Heineken). Consequently, they also provide restrooms for customers. 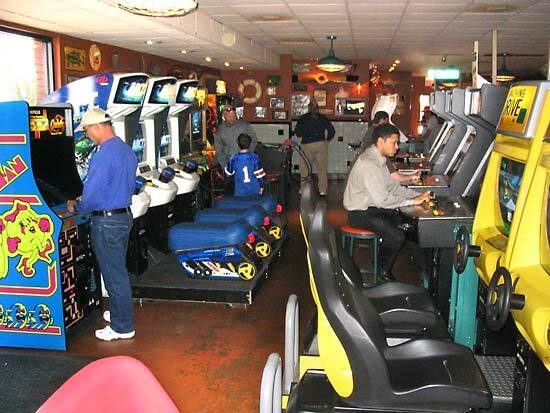 In conclusion, Rocky's Replay is almost certainly the best place to play pinball in the greater Orlando area. The games are clearly cleaned and serviced regularly and they have the very latest titles available, for which they deserve the support of all pinball players in the vicinity. 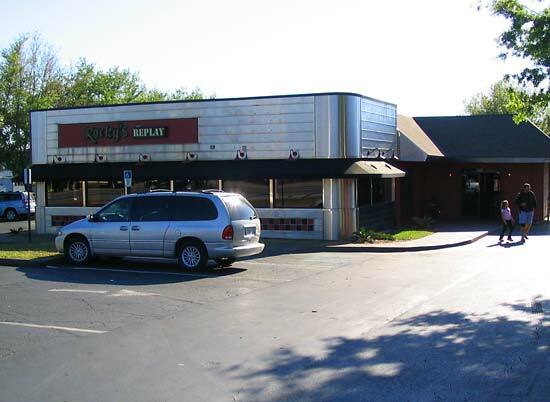 Rocky's is open Monday-Thursday: 11am - Midnight, Friday & Saturday: 11am - 1am, Sunday: Midday - Midnight. 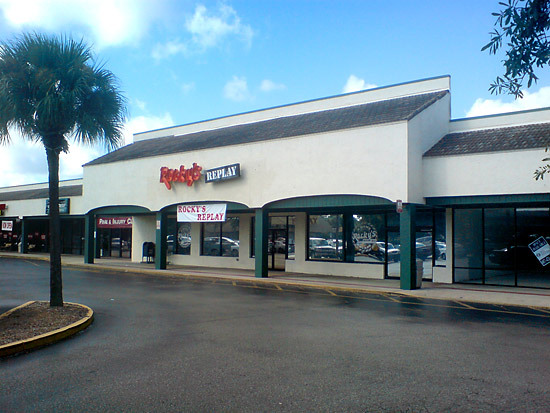 Rocky's Replay has moved to a new location in Casselberry, FL! It is a great space, with tall ceilings and a much larger play area. The games are in great shape and they now have an expanded food menu. The management has gone to great lengths to make sure that it is clean and that there is a larger variety of games to play. Pinball is still our favourite, and the games are kept in great shape! We are regulars and are always looking for a new challenge! Thanks to Rocky's Replay, we are always entertained!